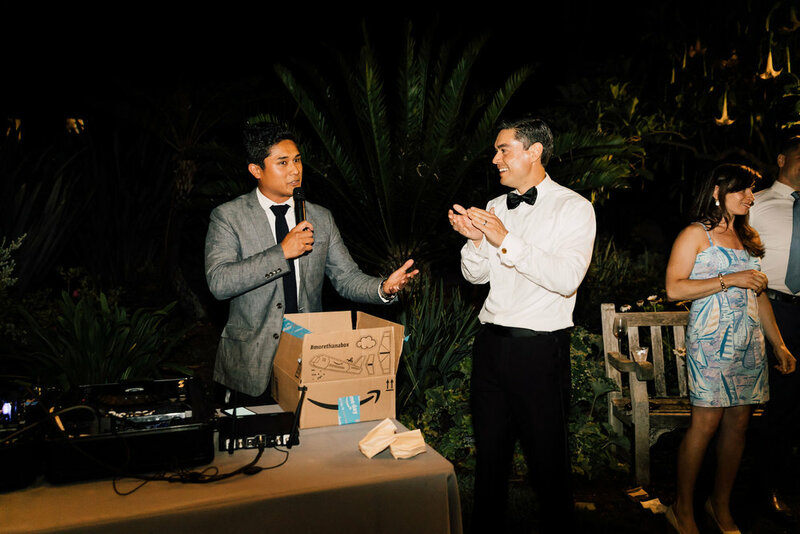 We had the honor of being Sam and Pat’s wedding at the San Diego Botanical Garden and it was such a memorable night. 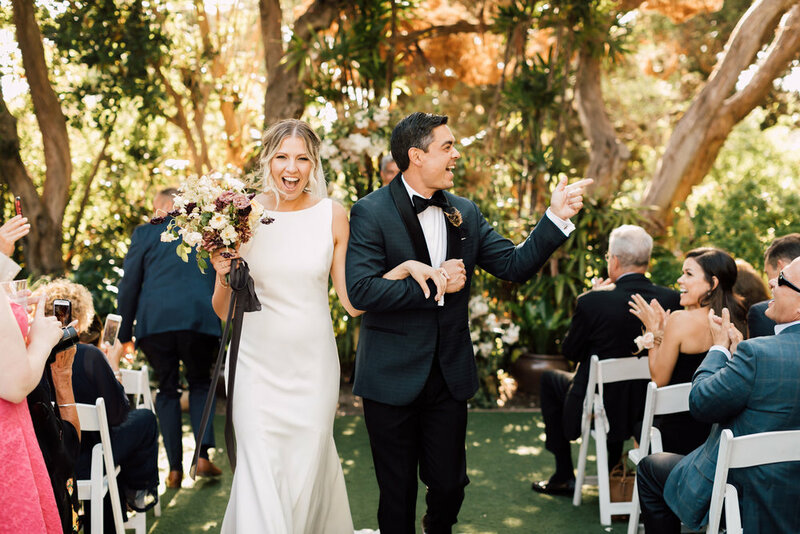 It began with an intimate ceremony surrounded by friends, family, and sunshine amongst a beautiful landscape. 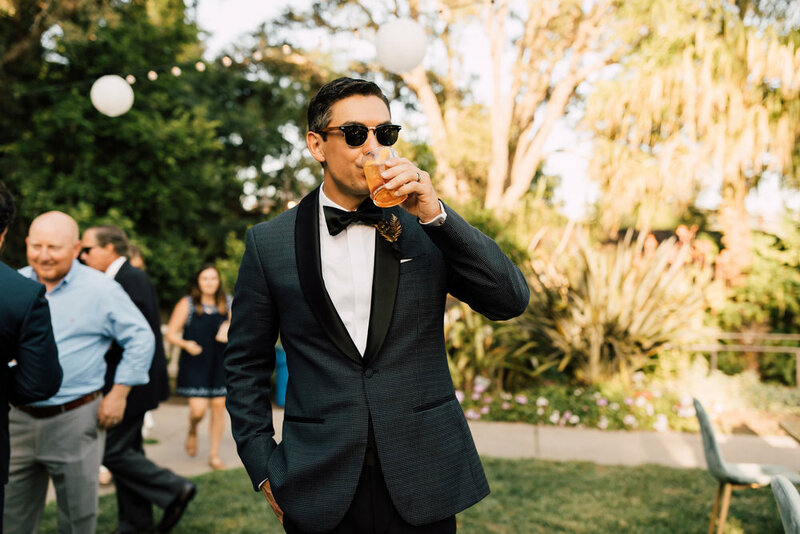 Originally from New York, Sam and Pat wanted a destination wedding in San Diego and chose Behind the DJ Booth as their DJ for the big day. Samantha and Pat live in New York and were getting married in San Diego. 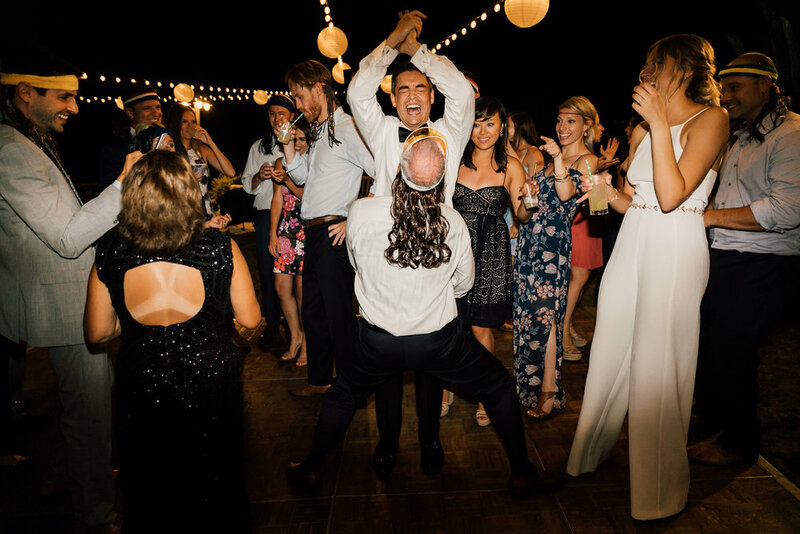 They reached out the Behind the DJ Booth to create the right musical vibe for their wedding at the San Diego Botanic Garden. Behind the DJ Booth is also a preferred DJ vendor at the San Diego Botanic Garden. They wanted someone that was easy to work with across the country and could curate music based on their music likes and dislikes. 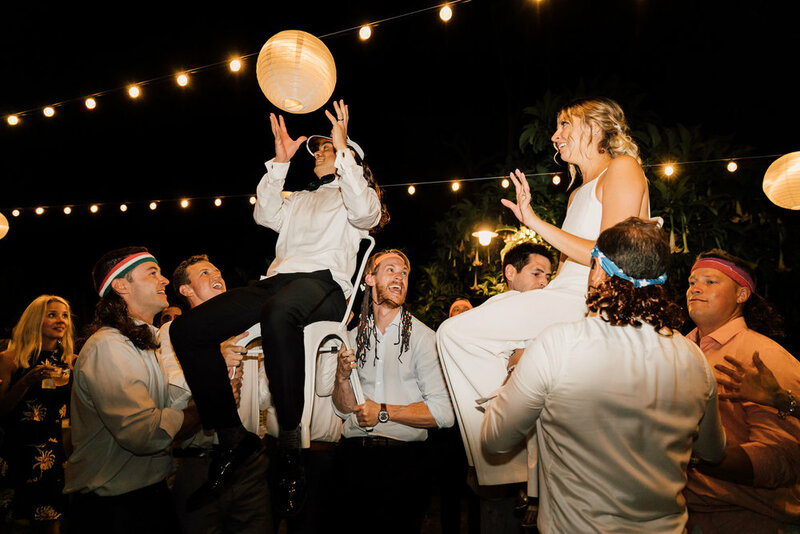 Sam and Pat wanted their wedding to be a modern classic. Cocktail hour music was inspired by their love for Mad Men inspired musical genres like hip jazz, rock, and even one hit-pop rock wonders. Some of the songs and artists Michael curated for them include The Tornados, Kyu Sakamoto, Jimi Hendrix, The Who, Paul Mauriat and Jeannie C. Riley. All classic hits from the 1950s and 1960s. When the dance party started Pat told Michael to let everyone know that they were going to be passing out mullets and the guests went wild with excitement! 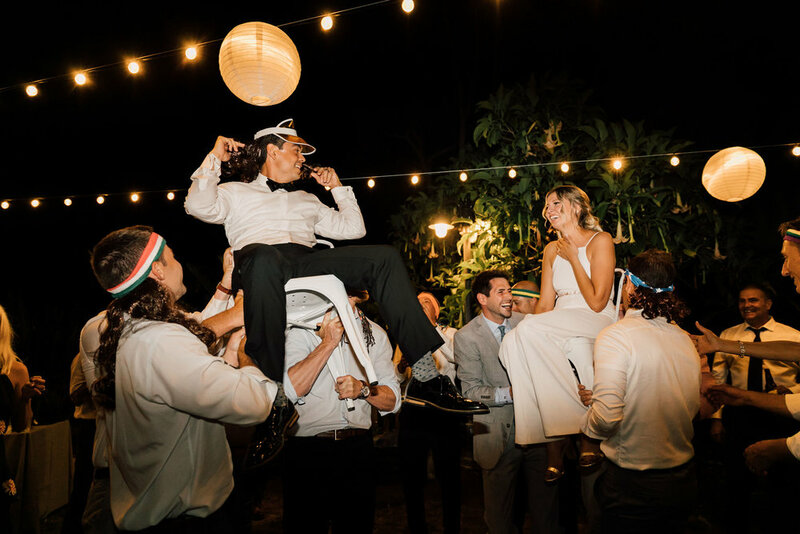 Later in the evening when it was time for the hora, Michael played Hava Nagila and the crowd immediately made Sam and Pat sit on chairs and lifted them to celebrate as guests danced around them. 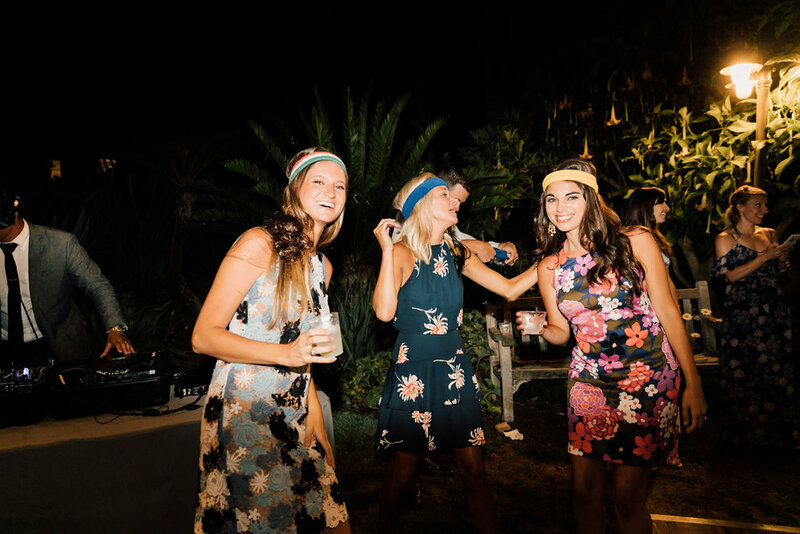 DJ Tip: When choosing a DJ for a destination wedding make sure that the DJ makes it easy to communicate, is professional, and has the ability to craft the best musical experience for your wedding or event. Vendor recommendations are a great place to start!